Today is Outdoor Wednesday, and this week we're taking a cyber trip to Munich for Oktoberfest. Oktoberfest is the type of celebration that demands a little food be eaten before toasts are made and steins lifted. 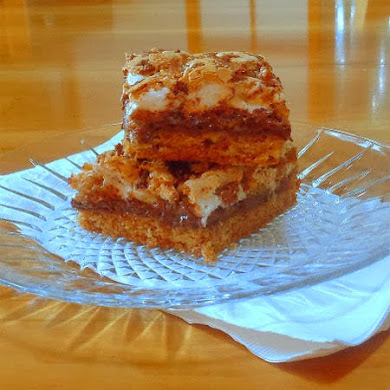 This recipe is one I learned to make in Hannie's kitchen years ago. Those who have followed One Perfect Bite from its beginnings know that Hannie is one of the special women who help to raise me and taught me how to cook. Follow the link above if you like to know more about her. Hannie made this soup for her husband, Max, on New Year's Day. He rarely drank but he was a New Year's Eve reveler. She was very disapproving and called this Max's hangover soup. Her displeasure led to much clattering and banging and a muttering that was definitely not soto voce. I could hear her across the hall. The soup is decidedly Germanic; it's an unusual potato soup that is redolent with bacon and onions. 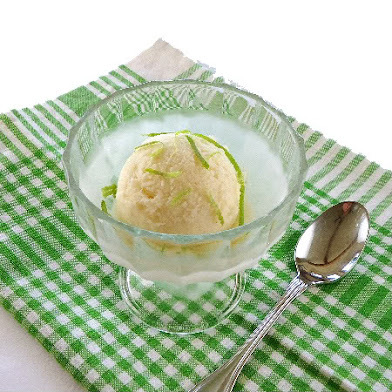 It's delicious and very easy to make. It ages well and is even tastier the following day. Render bacon in a stockpot. Add carrots, celery, onions, parsley and marjoram. Saute until transparent. Stir in potatoes and toss to coat. Stir in flour. Add beef broth and simmer for 30 to 40 minutes. Season to taste with salt and pepper. Yield: 10 to 12 servings. These young gals standing along the parade route are tourists visiting Munich for Oktoberfest - the hobo bag gives them away. I hope they've eaten and done some research. There are more tourists than chairs in the festival beer halls and some planning is necessary. 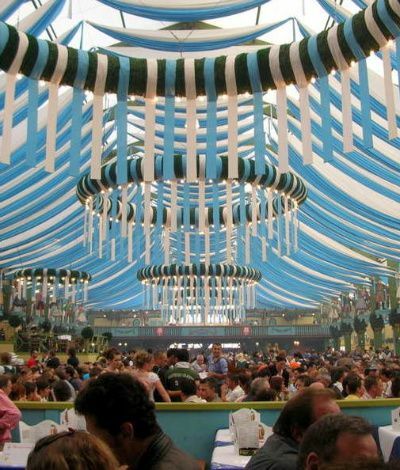 Munich hosts nearly 6 million visitors during Oktoberfest and the fair grounds currently have 14 large beer tents. 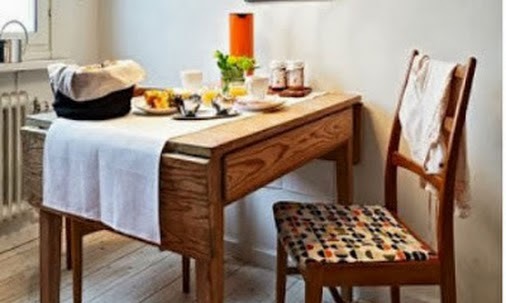 I think you get the picture - reservations are advised. 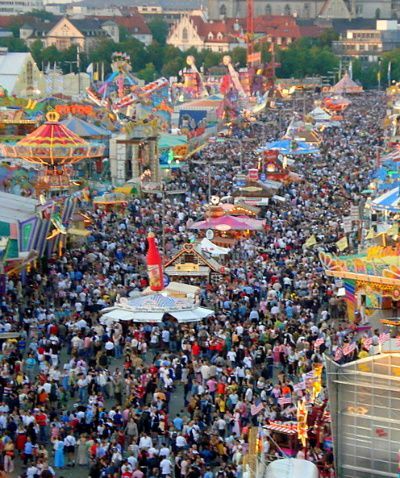 Oktoberfest is a 15 day festival that is held in Munich every year. It begins in September and ends on the first Sunday of October. Why September? The Bavarian winds are quite strong and can bring early snow down the mountains with them. Rather than chance the weather, organizers have opted to have the festival span the months of September and October. We're going to follow the parade to the fair grounds. This view of the fairgrounds is taken from a gondola on a ferris wheel. Beer tents line either side of the fairway. .
One of the most interesting things about Oktoberfest, other than listening to folks who do not share a common language and whose bellies are full of beer still trying to sing in unison, is watching the waitresses carry the beer steins. 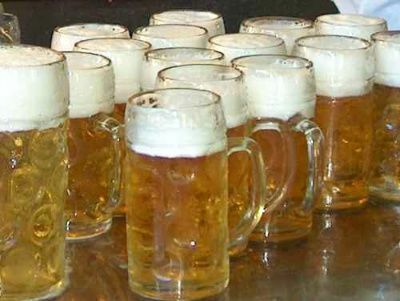 Those steins are 1 liter each and made of heavy glass. The waitresses regularly carry 10 or 12 at a time! Germany is a beautiful country brimming with gorgeous scenery, history, castles, monuments and wonderful people. Some of you may remember the words of the Drinking Song from the Student Prince. “Eine, Swie, Drie, Fier, lift your steins and drink your beer...drink drink drink....” No doubt about it, while all those other things are true, Oktoberfest is all about the beer. Loved your story about Oktoberfest. 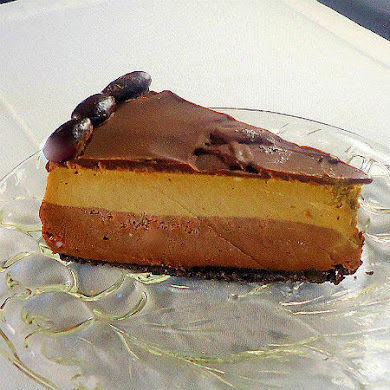 Your recipe sounds delicious--perfect for a fall day. Thank you for sharing! Oh, Ms. Mary, my daughter would love this soup, she is eats anything potatoes! Aha, I am missing the marjoram in my soup! 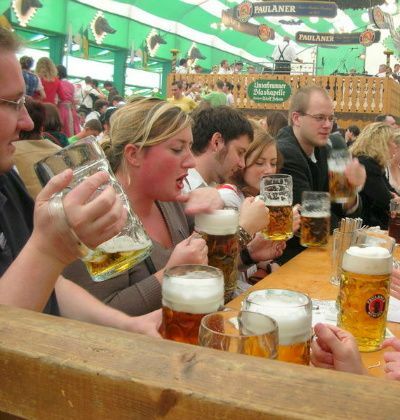 Everything about your Oktober Fest photos are great, and the beer mugs are HUGE! i have enjoyed the virtual tour! Mary this is the first potato soup recipe that I have seen that isn't creamy, gooey white. It looks delicious. Octoberfest is such a big event yet one of my son's friends was standing in line for beer and ran into another friend of theirs also from Canada. Small world. That looks so fun and the Kartoffel looks great. Oktoberfest must be the Mecca for beer enthusiasts. Have a great time. Aerial photos of Oktoberfest was my favorite. May I have a bowl of Potato Soup? Soup looks sooooo yummy! I copied this recipe down. It looks and sounds delicious. I LOVE to make soup in the winter at least 2X a week~we love it. This perfectly celebrates my German heritage. I so love Oktoberfest. When I worked in downtown Chicago, there was a yearly celebration for the entire month in the Daley Plaza, across the street from my office. I loved to go on my lunch hour to try all the incredible food sold at the booths. Needless to say, the pastry booth was my favorite!!! 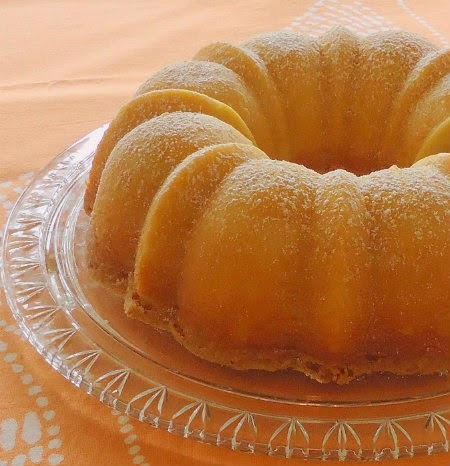 Thank you for the recipe and the information on the history of Oktoberfest!! I Love this Mary. Thanks for sharing. I love your soup and love Oktoberfest. 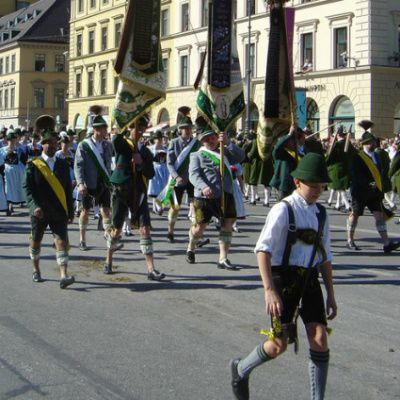 I can only imagine how great it would to be in Munich during Oktoberfest. Our friends who normally have the Oktoberfest party at their home have moved to Germany for two years. We're going to miss them. I have ALWAYS wanted to attend Oktoberfest!!! I will get there one of these years...thanks for the virtual transport for now :) This soup sounds wonderful. Thank you for those terrific pictures. It looks like so much fun but when I saw how crowded it gets I don't know if I'd want to be there! Wow...tons and tons of people! What a fun post! Great pictures. The soup sounds perfect for a cold day! And the outdoor photos? Amazing Mary!!!! That soup looks so yummy. No, seriously, I'll take a light but hardy soup any day. Perfect. 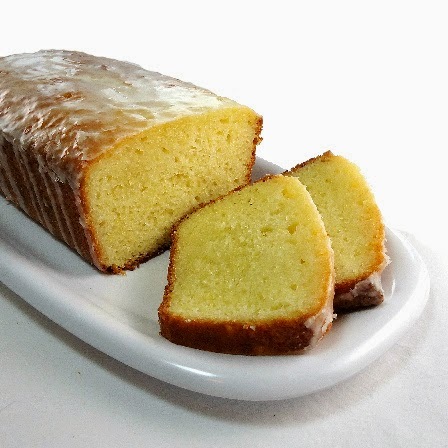 Perfect bite!! This soup look yummy and an Oktoberfest post is appropriaate for September because as you said -- it's really celebrated in September! We love Oktoberfests and every Oktober turn a part of our public Gunn Park into Bavaria for an evening -- with great German food and drink! 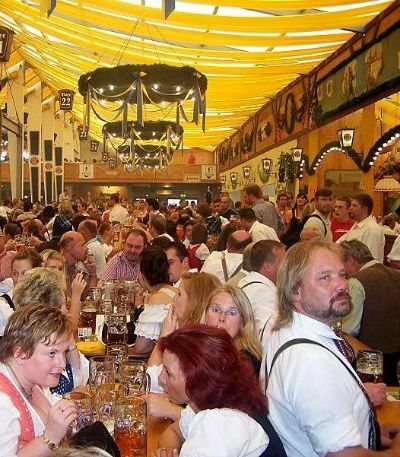 Wow, I love this trip to Oktoberfest with you! I would not be able to cope with the crowds there in person, especially as I would have to pee every 15 minutes from the beer! Thanks also for the drinking song, I will have to remember that. Your photos are gorgeous. I love the hangover soup. That soup recipe look perfect. I'll have to try it!!! The soup looks great -- Oktoberfest looks like it is a blast!! Thank you so much Mary for your sweet comments. Your potato soup looks amazing. I can almost taste it. Oktoberfest is on our to do list. After seeing your pictures it has just reminded me that I need to get on with this quest!! Your pictures are lovely and your potato soup is only a few days away for it to make its way into our home. My husband is from german origin and I know he would love this as much as I would. Thanks!! Your soup sounds wonderful! Perfect for fall. 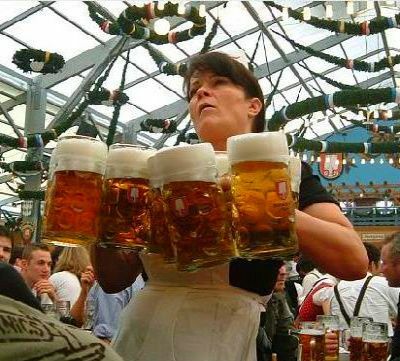 Would love to go to Oktoberfest in Munich. It looks like a wonderful time. What a wonderful recipe. I must try it. I miss the time we lived in Germany. Great photos. I just noticed a picture just above your 'About Me' column and I am wondering if this is you? What a beautiful face...just someone you want to get to know better. Susan, for better or worse, that is me. I'm trying to get new pictures up. Bob is next. The soup looks great! I will have to make it soon :o) My husband and I are going to Germany ove Christmas this year to tour the Christmas Markets! We are so excited. I have a very German past and can't wait to take part in their culture! 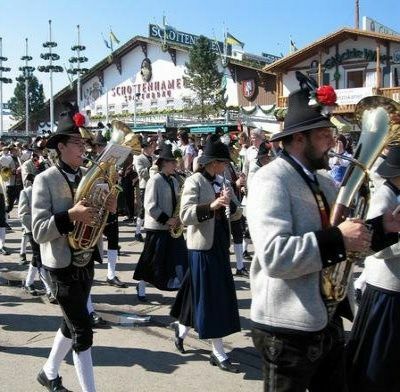 I have been to Oktoberfest festivals here ... I can't imagine what it would be like to actually be in Germany! Maybe that will have to be the next trip! 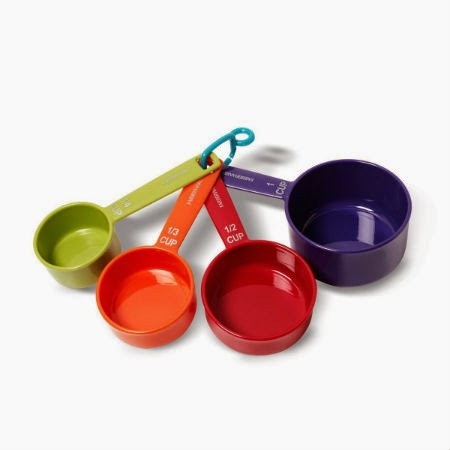 I am ready for soup season! Looks great! I once lived in New Braunfels, Texas. And they had events such as this one. Thanks so much for the grand tour! Thanks for stopping by today and I love a hearty bowl of potato soup. Haven't tried Bavarian style...yet! I cannot even imagine that many people in one place! Way tooo many people for me!! The soup looks and sounds delicious and so easy to make! I'll add it to my repertoire. I dream of going to Germany for Oktobertfest! I enjoy sampling different brews of beer. Lately wheat beers (Blue Moon) are my favorite. PS: Yes, "Wall Drug" is still in South Dakota! We saw many signs along I 90...almost like the old Burma Shave ads. We did not have a chance to visit, but I looked it up online to see what we missed. I love potato soup...! Well yes, the Oktoberfest is coming soon again. I have never visited one even though I live in Germany, I guess seeing it from tv is enough for me ;-). Yummy! I hope it gets cold here in Florida soon. I'd love to savor the soup in the right weather. :) It's still quite hot and humid out there. Potato soup is something I love. I like it with leeks, with broccoli, with cheese, with bacon you name it I don't think I have ever ran across a potato soup that I didn't like. Your recipe sounds really good. Thank your for your suggestion. I do think I have had the magazine before, quite some time ago. I will have to try it again. This is one recipe I know I'm going to try - I LOVE potato soup. Also love the photos of Oktoberfest. That was also an annual ritual down in the part of Texas where I grew up - although we never worried about snow! 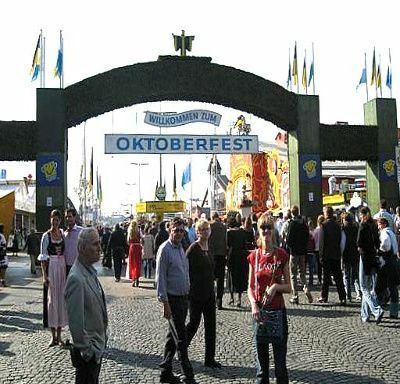 I been to Germany many times but not the October festival (I do not like beer) but I understand the feeling and thank you for taking me on a trip. It also made me smile happy when you told us/me about the lady how took care of you when you were younger. Oh, yes, this looks soooo very very good! Big SLURP! Why would Sandie make you cry? Aww! I LOVE Oktoberfest. It's a huge thing down here, because there's some many folks who came from German immigrants! Oktoberfest is one amazing party. I love Germany in the fall and winter. Looks like a wonderful, tummy warming soup, Mary. Great photos, too. The closest I got to that was a trip to Epcot in Florida. It was wonderful to follow the parade and see everybody dressed so beautifully! Your soup sounds delicious! I want to make it. Thanks, Cindy S.
What a treat to celebrate there! The pics are amazing and of course everyone looks like they are having so much fun. gp, thank you for the compliment. It is appreciated. 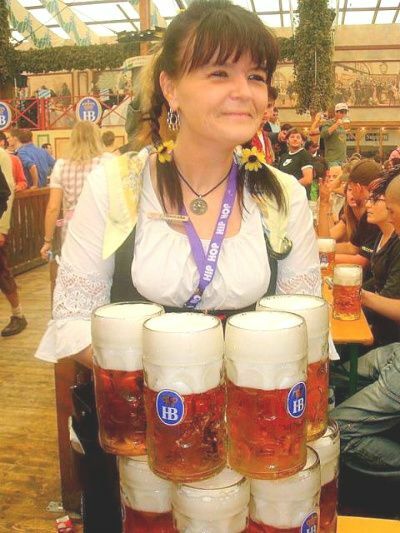 I would have loved to be there at the Oktoberfest. 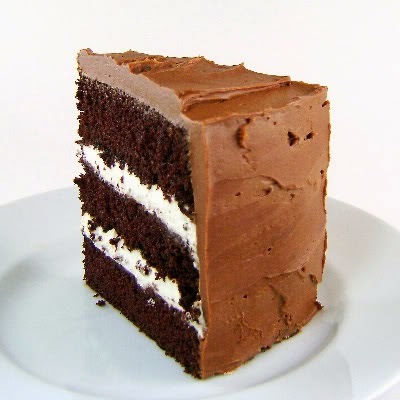 You are killing me with all these mouth watering recipes. I bet you have no trouble getting your family to the table for a meal. Mary- you have been so many places. You are one worldly woman! I did not know that October fest was held in September. I love that I learn things from you. I want to go to Munich so much. Thanks for the beautiful pictures. And that potato soup would be welcome today in my house. Thank you for generously sharing the soup recipe. It looks delicious. I do not particularly like to cook, but because of food allergies I do make most of what I eat. I like simple, and soups are something I actually enjoy cooking. Hi, Your pics are wonderful. The soup looks delicious. I really appreciate this post . My father's family came to America from Bavaria in 1896. I have never been to Germany, but I would like to go. The soup looks really delicious and I used to make this kind of soup but not as creamy as this one!And thank you for sharing all those beautiful pictures. Really gorgeous! 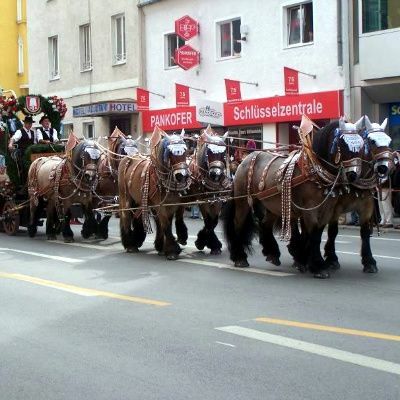 Hi Mary, Thank you for sharing wonderful pictures of Oktoberfest. The soup looks delicious. OH that looks like such a fun place to be! And I don't even like beer. Thank you for the virtual Oktoberfest celebration. I'm having such a good time seeing everyone's Fall posts, as I sit here in my shorts and tank top hoping we have an early Winter, so that I can open the windows and turn off the a/c. Boy, one of those beers would really cool things down a bit! So creamy and delicious! 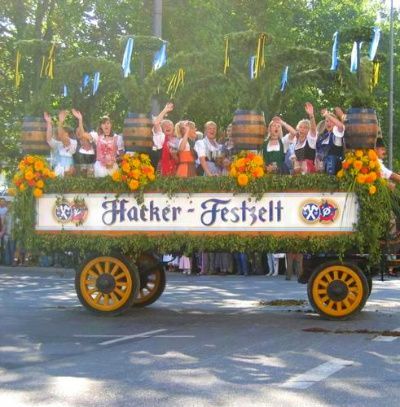 Heard of Octoberfest but have never been to one...sounds like so much fun! 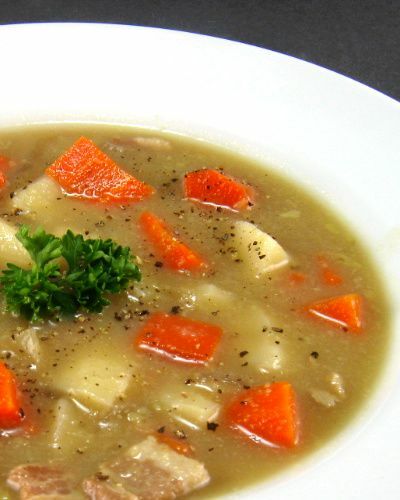 So happy it's getting cooler and that calls for a bowl of soup: yours looks great. But I can assure you it's not all about beer - it's also about spit roasted ox and suckling pig, about brezeln and radishes and white sausages and surely some apfelstrudel. I stumbled across your blog only now and am firmly hooked. Your memories of Hannie are truly touching, and your introduction at the side of this blod reads like something my late grandmother would have said. Thanks so much for posting, I will surely come back regularly in the future. Reuben, welcome to One Perfect Bite. I do hope you be back often. What a great photos. Oktoberfest looks like a blast. I loved the picture of the horses, they look so huge. The potato soup looks wonderful. Since I am a huge fan of soup I will have to try this one this fall.